How To Lighten Up Acne Scars? 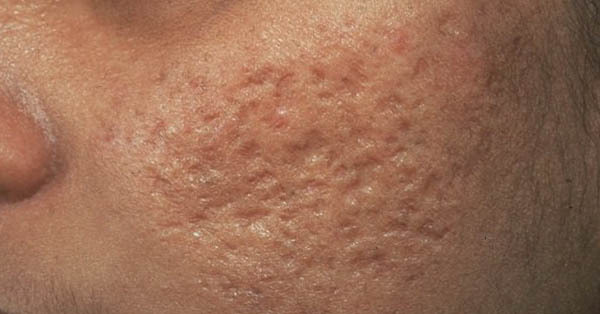 Acne is a long term skin disease happens when the hair follicles clogged with dead skin cells and oil from the skin. And after the break out it leaves a deep scar on the skin. The scars of acne are so noticeable that cause anxiety, low self esteem and depression. These scars cannot be solved in just one night but with proper care, it eventually lighten up. The very best thing that you can do to avoid acne scars is preventing it to form in your skin. You can do it by proper cleaning of your face. Remove make up and wash your face with cleanser that has salicylic acid before going to bed. It unclogged the pores of your skin that can prevent breakout. Exfoliation is removing dead skin cells from your body. Scrub your skin so that it will remove the dead skin that clogs your pores that can cause acne. Gently rub your face with exfoliating facial scrub in a circular motion for good blood circulation leaving your skin so smooth, supple and feeling bouncy. There are a lot of different skin care products in the market. Be knowledgeable in buying beauty creams. It should contains licorice, tea tree oil, vitamin c, mulberry extract, arbutin and kojic acid that helps to lighten scars. Retinol and cortisone are ingredients to boost the collagen in your body. Collagen makes your skin look healthy and supple. Some beauty products with retinol and cortisone can buy over the counter but it is recommended to see first your dermatologist before using those products. You can see in some advertisements beauty products that can treat acne scars. But it is better to have an appointment with your dermatologist to make sure that the treatment that will apply to you is suitable for your skin.